Whether you are out at work or away for the day, we can walk your dog from your home. With walks at lunchtime, mornings or afternoons you can be safe in the knowledge that your dog will be exercised, played with and cared for while you can't be there. We do not pack walk dogs so you can be safe in the knowledge that your four legged friend will get the focussed attention he or she deserves. However, we do understand how important socialisation is, so we can and will walk dogs together who we know get on well. We offer a flexible service and can walk your dog for 30 minutes, 45 minutes or an hour depending on your dog's routine. 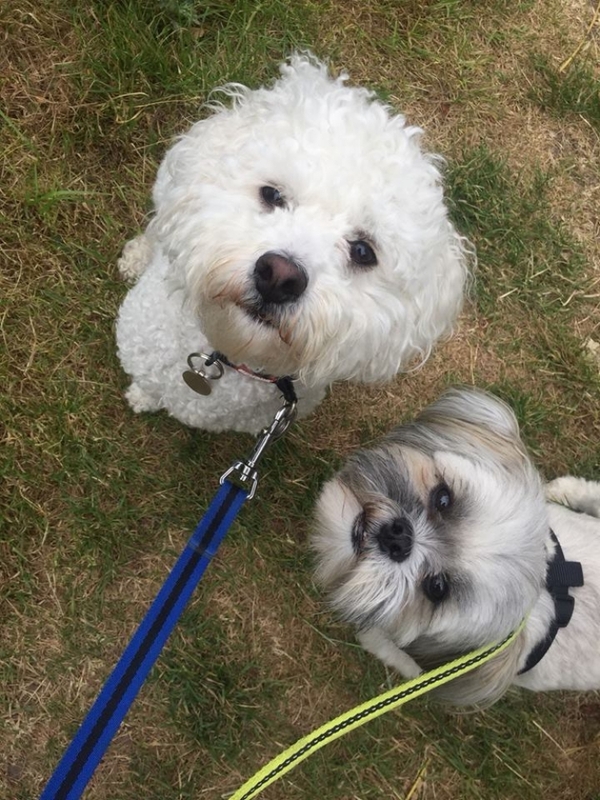 We can walk your dogs on a regular or an ad hoc basis to suit your needs. For your peace of mind, we can arrange to text you after your dog has been walked and can include a photo so you can see them having fun! During the Winter and wet weather, we ask that you leave towels so that we can dry off muddy wet paws before treat time! When you make an enquiry we will arrange to come and visit you and your pet to do an initial free consultation. This means that you, your pet and pet sitter can all meet prior to booking and ensure the service is right for everyone.